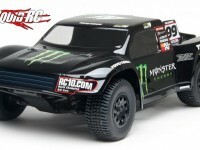 sc10 4×4 « Big Squid RC – RC Car and Truck News, Reviews, Videos, and More! You are browsing the "sc10 4×4" tag archive. Team Associated SC10 4×4 RTR! Team Associated has updated their teaser to the above image. So… 4×4 SC10 then? Check out Team Associated’s web site to see it in it’s natural habitat.